Over the past week, I’ve been getting a slew of messages from women asking what it’s really like to travel solo. Sharing their fears and asking for my insights. In hearing all these women’s stories I’ve been inspired to share where my own travels began. 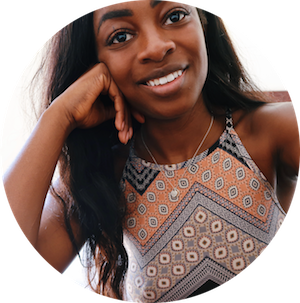 How I got to where I am today and why you shouldn’t let fear stop you from exploring the world. About four years ago I saved up to go travelling in my summer break from uni. A girl from my class had mentioned she’d like to do a Eurotrip so I set about making that dream a reality. I took on an extra job and didn’t touch a penny of that money for the nine months that I worked there. When it came closer to the time it turned out she couldn’t afford it. I didn’t have the confidence to go it alone, so instead, I stayed in Scotland wistfully longing for warmer pastures. A year later I had another opportunity to travel when a friend and I decided to move to Australia together. We were terrified, but after weeks of talks, we decided we were going to really go for it. With tickets booked we told our friends and family. It was happening. In six months we’d be leaving. From then on most nights I stayed up late studying travel vlogs and reading blogs. Often the same ones over and over again my eyeballs glued to the screen hoping to discover something different. A precious nugget of information that I’d missed. Though whenever I thought about it my heart threatened to escape from it’s cage, what I felt most and what I revelled in, was the excitement. The sheer ecstasy at the chance to do something so completely out of my comfort zone. My friend and I spent that summer working at events around the country as promotional staff using every opportunity we could to earn more money. It was at a point a couple of months before we were due to leave that things began to deteriorate. The constant spending time together planning and working had taken its toll. Eventually, it got to a point where we’d gone weeks without speaking at all. Three weeks before the trip I decided to get in contact with my friend and extend what I thought to be an olive branch. Inviting her round to take part in our favourite activity (travel planning). It was then that she told me she would no longer be coming and that it would probably be best if I did the trip on my own. What if I did do it? What if I did follow our plans, our dreams everything we’d spent the last six months pouring our life in to? …what if I were to do it alone? I’ve never been a meticulous planner. I’ve always just been happy to go along with the plans others had made. I knew going alone would require me to take over the reins entirely. Truthfully, I was terrified, verging on not going at all but the thought of not going scared me even more. So I made the decision. I was all in. 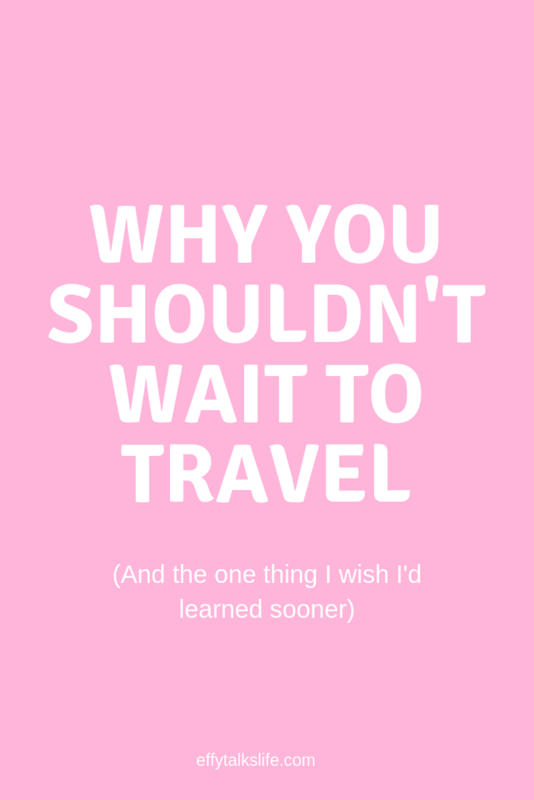 I now spent my days watching videos on solo travel, trying to nail my own packing list. Hurriedly booking my travel insurance in the hotel hours before leaving and crossing everything hoping it would work out. That I wouldn’t get kidnapped or hate it so much I’d have to come home. I spent the night before I left with one of my closest friends in Edinburgh and I couldn’t believe that in just hours I’d be jetting off to the other side of the world leaving everything behind. The anxious thoughts I’d been trying so hard to bury began to edge closer to the surface. How could I leave this behind? What was I thinking? What if I had a panic attack abroad, alone? If I just stayed no one would judge me and the money I’d spent… well we could chalk it up to a life lesson learned. Still, under it all, I had this longing to know what would really happen. To prove to myself I could truly go it alone. No sooner than I’d finally drifted off to sleep I heard the aggressive beeping that signalled it was time to go. In a stupor, I pulled my life together, on to my shoulders and off we went to the airport. We arrived so late I didn’t even have time to properly say goodbye before I had to rush through security and find my gate. I was handing over my ticket. I could still turn back. But did I still want to? Eventually, when the plane took off I began to breathe again. I looked out of the window past the runway, into the grey blankets covering the sky. And at that moment, in the hint of a smile, I couldn’t wait to see what happened on the other side. In the three years following I’ve travelled alone to Hawaii, Japan, The Phillippines, Thailand, Vietnam, Indonesia and Spain. I’ve eaten foods I’ve never even heard of and I’ve seen sights that have made me cry. In those years I’ve become friends with people who I’ve revealed some of my deepest fears and highest aspirations. Most importantly, I’ve gone from being terrified of spending time in solitude to becoming a woman who feels empowered by the prospect of going it alone. After everything that’s happened here’s my advice to you: don’t wait for the circumstances to be perfect. The chances are they never will be. If you spend your precious, and limited, time waiting for the right person to go with then before you know it life has passed you by. I hear people say “everyone should travel at least once” or “travel’s an experience you just can’t miss out on” and in many aspects it’s true. However, travel is also something we hugely take for granted. The sheer fact you can get on a plane and in hours be in a different country is a miracle. So is having a passport, or having a *strong* passport where you aren’t grilled at the border for being born into circumstances out of your control. Or having a home – either a place or people to come back to. Sadly not everyone can travel. But if you can, and if you want to, don’t let fear stop you from unwrapping this beautiful gift. What about you guys? Have you ever wanted to travel the world, but felt like circumstances held you back? What’s stopping you?